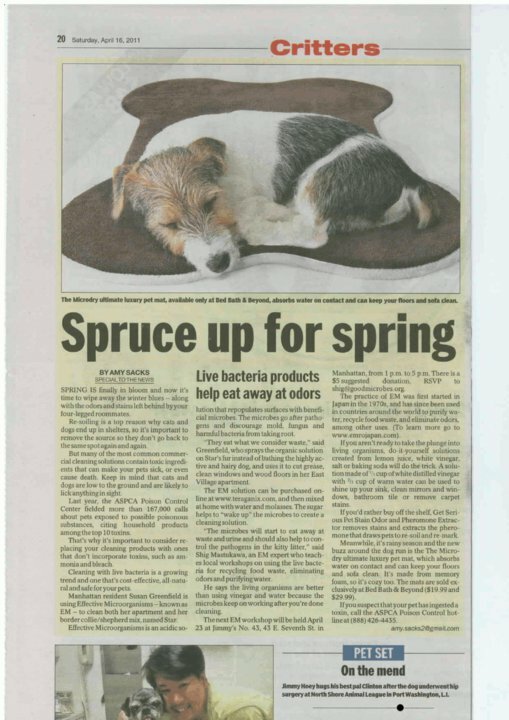 Buddy and his favorite chocolate brown Ultimate Luxury Memory Foam Pet Mat were featured in The Daily News this past Saturday. As the reporter mentions, the mat is the talk of the city dog runs! Of course, now Buddy is the bark of the dog runs too thanks to the big photo of him that leads the article. This entry was posted on Monday, April 18th, 2011 at 12:10 PM. It is filed under Blog. You can follow any responses to this entry through the RSS 2.0 feed.